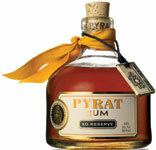 Patron is the world's number one Ultra-Premium Tequila. Handcrafted in Mexico by skilled artisans, our tequila is made with a passion for perfection. It takes time and heart to make a tequila this smooth and complex: over sixty hands will touch each bottle during its creation.